The first type of play to develop is exploration of toys and materials. This starts by simple exploration. A child may shake, mouth, or bang together all toys. Exploration becomes more complex when children start to use toys as intended by rolling a car, shaking a rattle, or pushing buttons on a cause-and-effect toy. When children frequently play in this exploration phase, we are first focused on increasing their diversity of play at this level so that they can stay engaged in play. Second, we always think about early combinations- the next level of play and how we might support transition to this next level. So today, we have toy recommendations for your kiddos who are mostly Explorers in play. Stay tuned, all this week we will be posting our suggestions for each level of play! If your child isn't differentiating between different types of toys, then this list is for you! 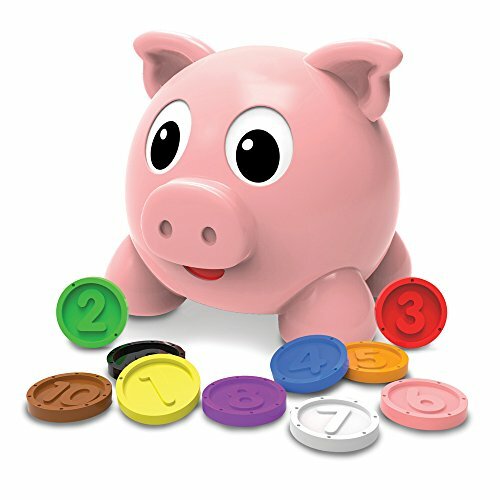 We are looking for toys that can help teach differentiation and that might introduce some very simple combinations. 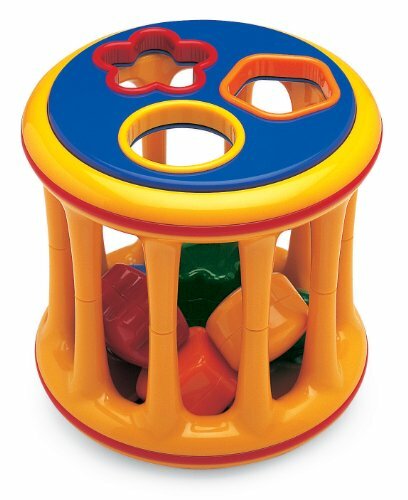 Tolo Toys Rolling Shape Sorter. This is a great toy for early exploration, and it grows well with play development. It can start as a simple cause-and-effect toy to shake or roll, and the shapes themselves are little rattles as well. It also builds into developing combination play with the lid off as a bucket or on as a traditional shape-sorter. Or take both lids off and pass the blocks through the middle! It continues to grow with your child by developing problem solving, hand-eye coordination, and motor skills as kids figure out where to put each shape. Musical Instruments are a great way to teach kids to differentiate their actions for each individual toy. Kids get the most feedback if they play with the toy as designed, and it helps to reinforce different actions with different objects. 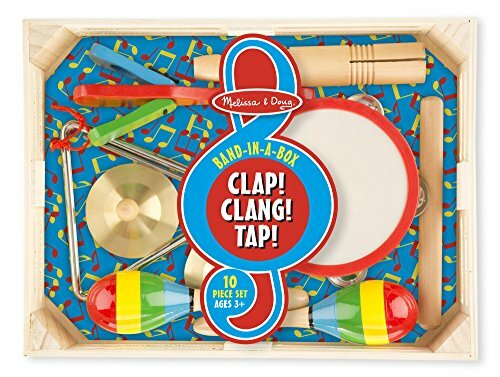 This set is durable and comes with lots of unique instruments, but any musical toy set will do! 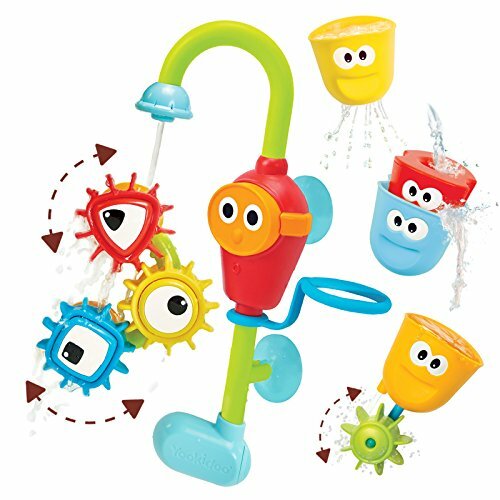 Spin 'N Sort Spout is a fun way to add cause-and-effect play to the bath without running your faucet all bath-time long! The foot dips into the bath water and recycles water through the little battery operated faucet. It is sturdy, has a good steady stream, and is easy to turn on and off. 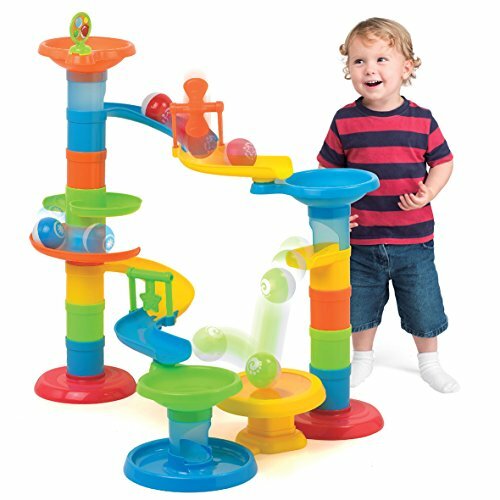 This comes with lots of great accessories to continue to build combination play by stacking the cups or assembling the gears. You can also set it up in the kitchen sink while you are getting dinner started or in the kiddie pool in the summer. We love using this to give baby dolls and figurines a shower as our players get more advanced! The colors and different functions of each of the cups give you lots of opportunities to provide choices and build language too. If your child is starting to treat each toy differently, then we start looking for toys that will increase complexity by adding simple combinations. Ball Drops are a lot of fun for very little effort. Drop the ball and watch it roll! A simple ball drop is great, but we love this one that incorporates a bridge to add some complexity later on. Start with just a few stacked funnels on top of one another and build up towards the multiple layers. Once a child is familiar with the toy and enjoys it, we can quickly move to the next level of play by leaving some levels unassembled or gaps along the way. The child will be motivated to build it higher or fix any gaps which bridges them to early combination play and provides lots of opportunities for requesting. The Learning Journey Pig E Bank. This Pig and his friends (cookie jar, fish tank, and more!) are all great for teaching one of the earliest combinations. These toys function like a puzzle- the toy tells you exactly where to put the pieces. But these toys also give you some audio feedback that provide a little cause-and-effect that nicely bridge our early learners to this more advanced combination stage. He will take you even further as you learn to pretend to feed him and can talk about numbers and colors. Sometimes you can find these guys in a 2-pack at wholesale stores for a steal! Melissa and Doug Garages are a pushing the envelop towards combination play, but it bridges from early play with the simple cars. Kids can roll the cars into the garages or just knock down a tower of blocks. This set in particular is nice because you can build the tower of garages or line them all up or nest them together. (Beware of the similar farm set, tempting as it is with the different animals, those barns don't stack!) And this set will last through thematic play as they can be used to build a city of community helpers. Notice how we avoid toys that light up or make a bunch of sounds. These toys are great for keeping kids engaged, getting them interested, and motivating new skills. But, they often encourage a less active role in play which can hinder our play-building efforts. So we will keep them in our toy boxes, but for our play development focus we will keep them out of sight. Join us tomorrow as we discuss all of our play recommendations for combination players!